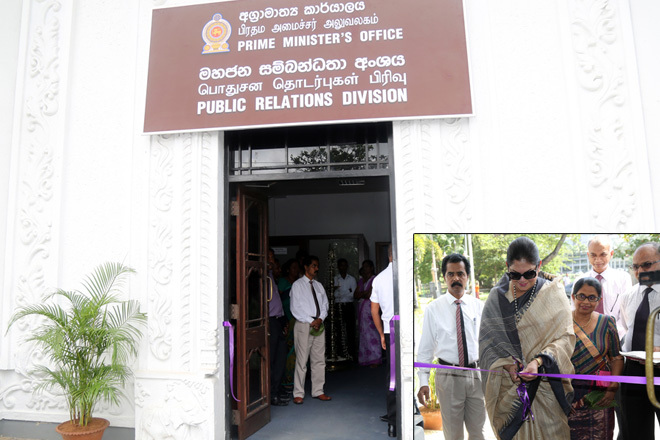 Prime Minister’s Office on Thursday opened a new Public Relations Division in front of Temple Trees situated at No. 101, RA De Mel Mawatha, Colombo 03. The Cabinet recently decided to close down the Anti-Corruption Committee Secretariat situated at the same location and operated under the direct supervision of the PM’s Office. The Anti Corruption Committee Secretariat was established by the present government to crack down on fraud and corruption.